Capture the glow of faceted glass with these brilliant earrings! 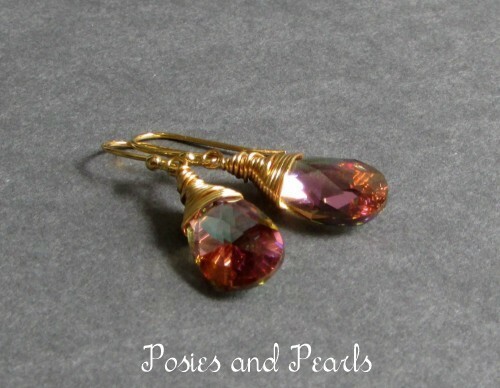 The multi-tonal, purple Swarovski briolettes are carefully wire-wrapped with 14k gold plated metal. 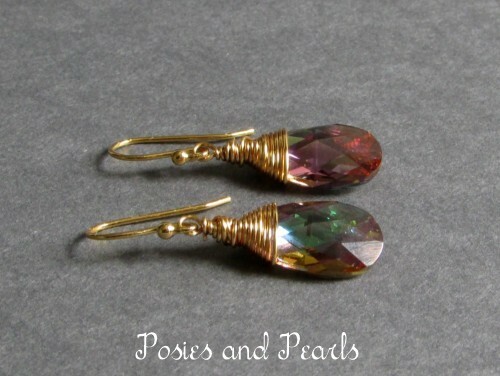 They dangle from French hooks making them as comfortable as they are lovely. 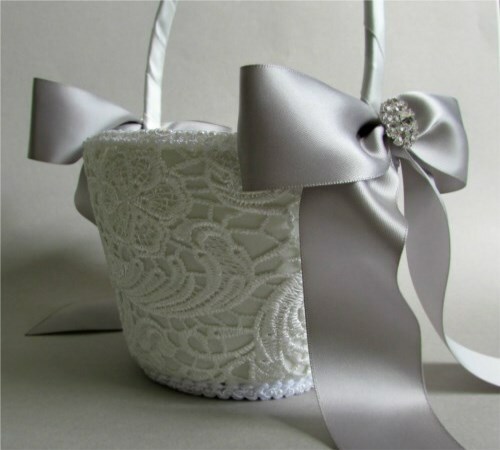 A simple design with a touch of glamorous sparkle. 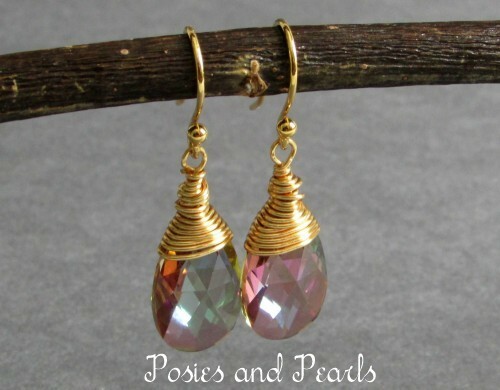 CUSTOM REQUESTS: These earrings would also look lovely with sterling silver metal. 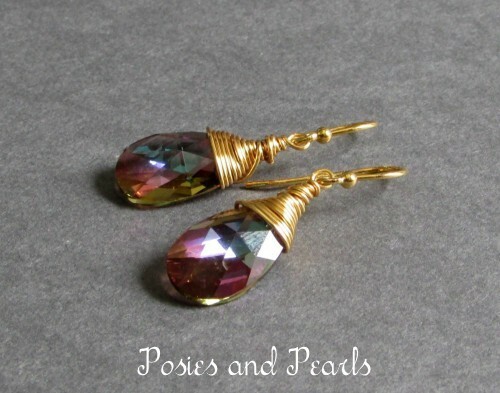 This style of earrings may also be made in many other color options. 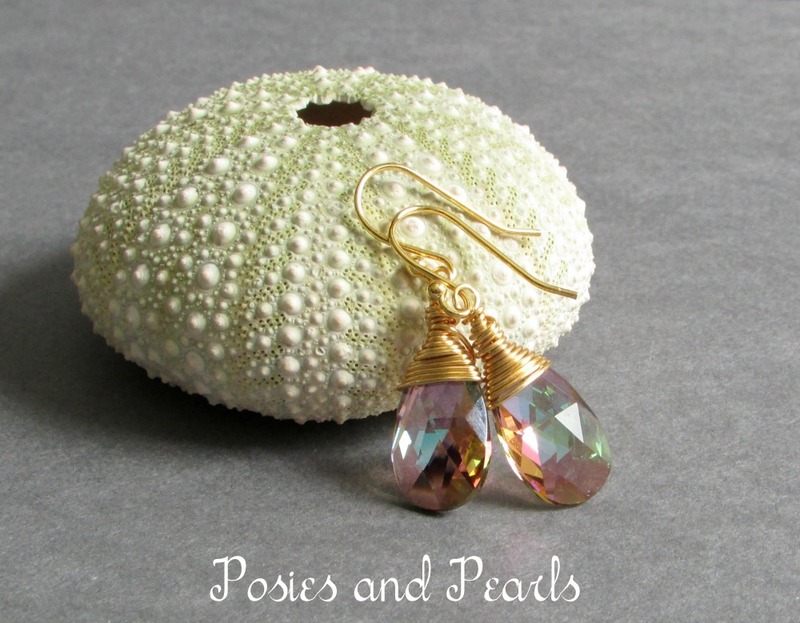 You may order as many pairs as you like. Contact me for more information and I will be glad to help you!